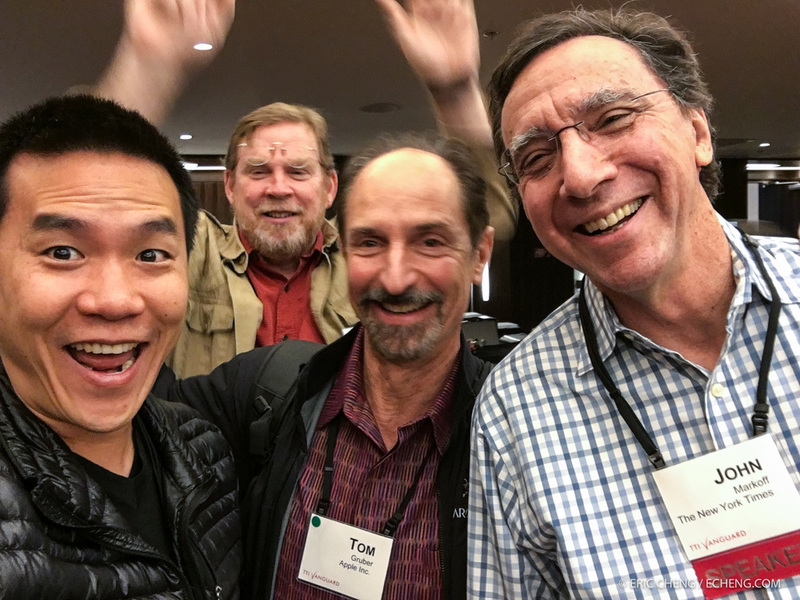 I feel fortunate to have been invited back to TTI/Vanguard's [next] conference this year, but as a guest instead of a speaker. As expected, the talks were fascinating and the audience, sharp and engaged. [next] conferences aren't officially themed, but this year's conference seemed to focus on material science. 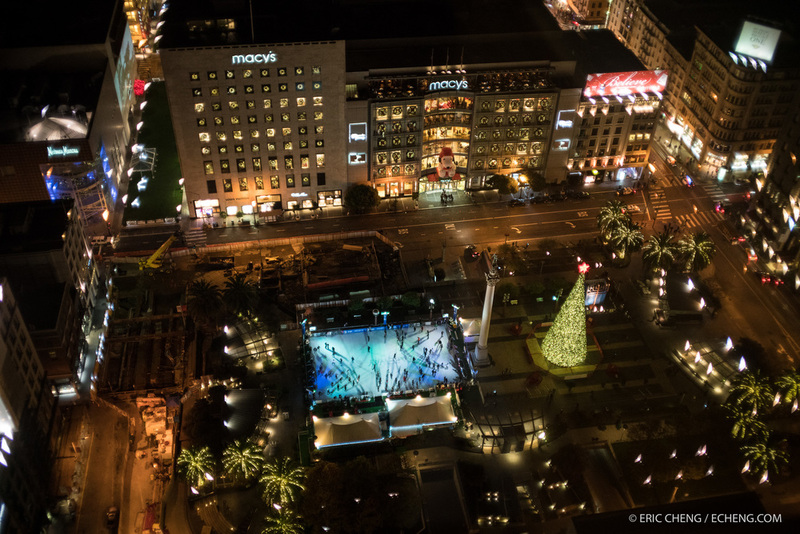 View of ice skating in Union Square from the Grand Hyatt. Julia Greer talks about nano-architected materials. 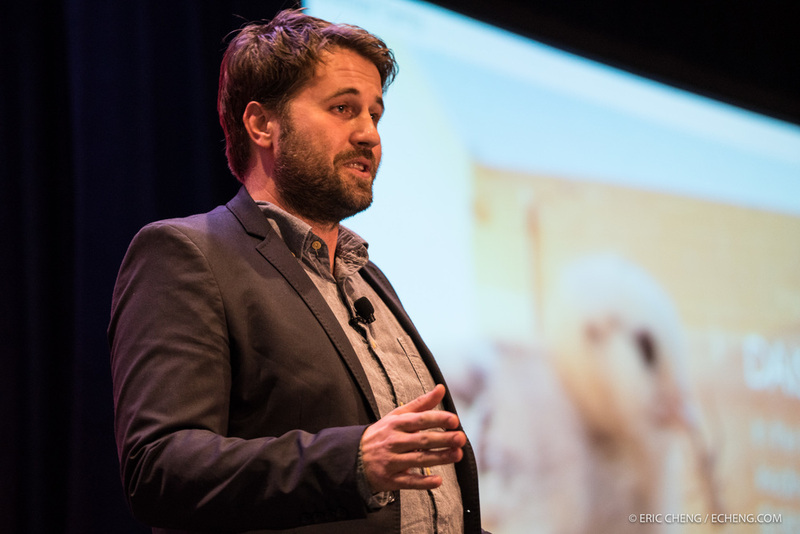 Sean McDonald (Bitwater Farms) talks about cricket farming. Discussion between John Markoff and Michael Hawley. 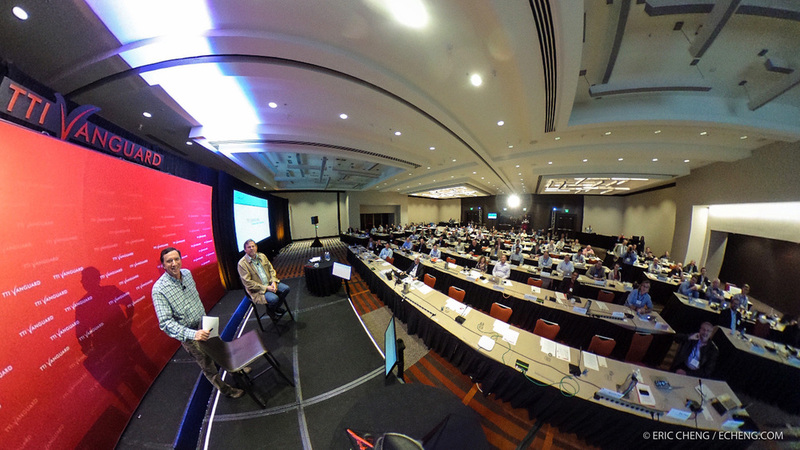 On a whim, I got on stage using Michael Hawley as a conduit and shot a 360 image of the conference room, lobby area, and escalator of the Grand Hyatt. Drag to change perspective and click on bubbles to navigate. To view in Google Cardboard, search for "TTI/Vanguard" from within the Round.me app (iOS / Android).